Autumn is arriving in the forest and the warm sunny days are staying around to show off the forest in all its wonder. 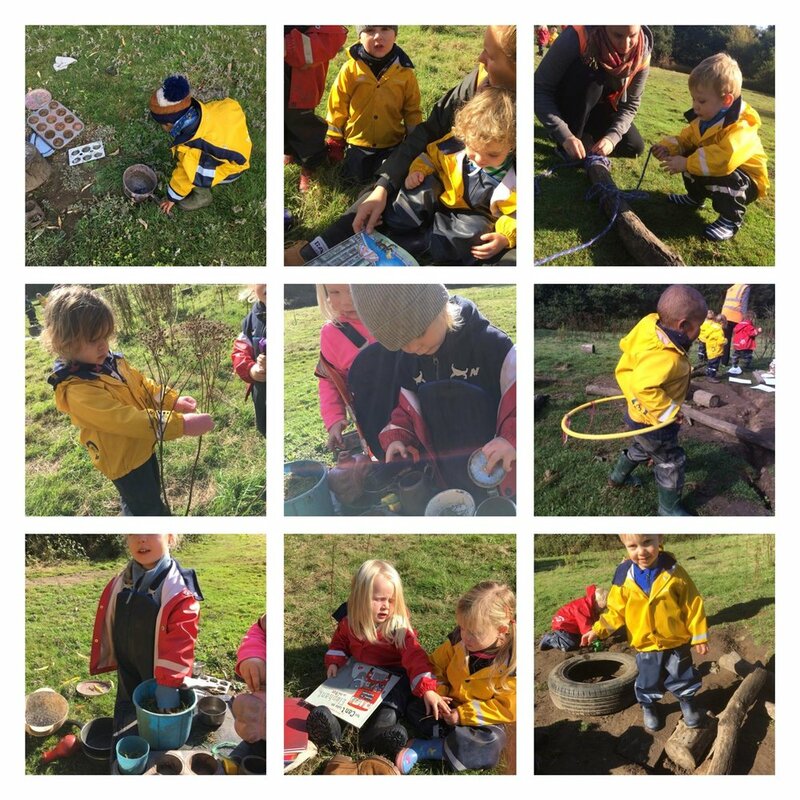 This has meant the children have enjoyed lots of time in the meadow this week. As they have shown an interest in weaving, Christie set up a weaving station on the meadow and has been teaching the children to use different coloured wool to weave around sticks and make beautiful patterns. They didn’t need much encouragement to take this new skill and apply it in diverse ways, some made Princess Elsa dolls, some made trees, forest creatures, an aeroplane and we even had a number of dogs being led around with rainbow coloured leads! This station was open all week and it was noted how a number of children kept revisiting the weaving project to make a new creation, adapting something they had previously made or just enjoying the extended period of time with the materials. Our Little Forest Folk-ers have also shown an interest in role-playing and hairdressers this week has been the theme. They have used sticks to represent scissors and no up-do would be complete without some grass hair accessories. A number of educators have visited the salon and we all agreed the children made a big improvement on styling them. Jaybirds has been looking at calendars this week and some of the different holiday festivals that are celebrated throughout the year. A group of our Little Forest Folk-ers requested that they too got to look at the calendar later in the week which led to a big discussion about the different festivals and the months in which they are celebrated. The children have asked to do a number of art activities and in which months they would like to do them. Time appeared to be a running theme this week as a number of children have been requesting to use the phones to set timers and talk about the numbers running backwards. With lots of new children having started full days and other children settling in, the educators have been really impressed with how the older children have been opening their play to include new children and some beautiful friendships are starting to form. We look forward to seeing these strengthen and develop as the children grow in confidence over the new few weeks.